Example 42 Let R be a relation on the set A of ordered pairs of positive integers defined by (x, y) R (u, v) if and only if xv = yu. 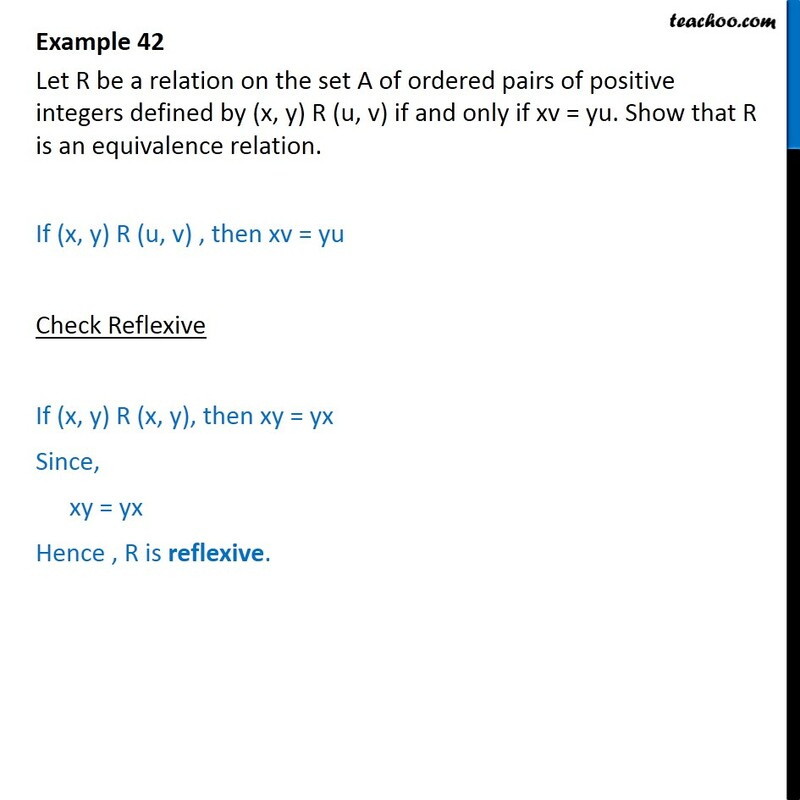 Show that R is an equivalence relation. If (x, y) R (u, v) , then xv = yu Check Reflexive If (x, y) R (x, y), then xy = yx Since, xy = yx Hence , R is reflexive. 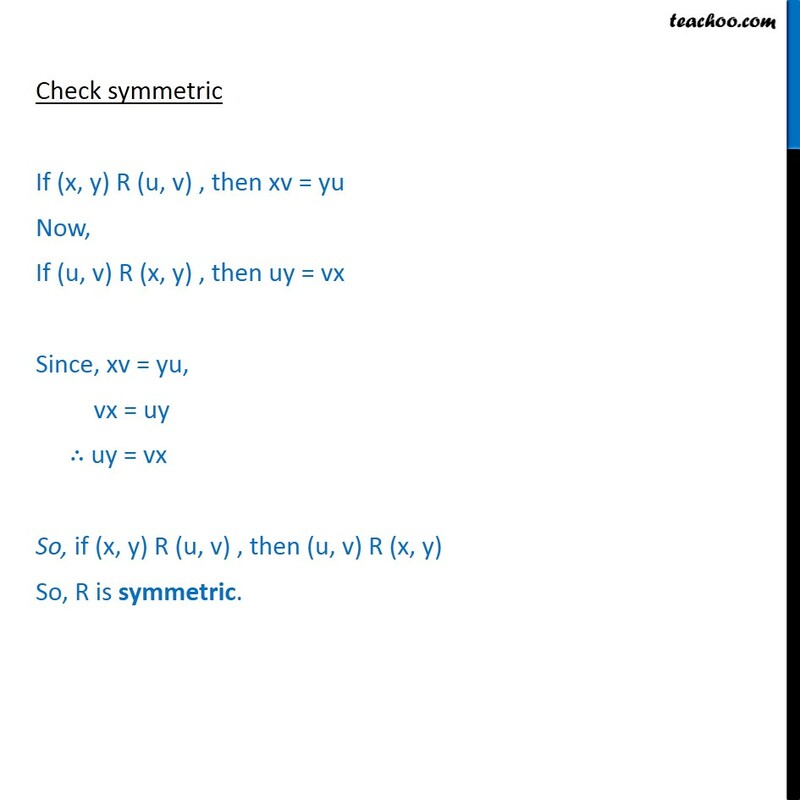 Check symmetric If (x, y) R (u, v) , then xv = yu Now, If (u, v) R (x, y) , then uy = vx Since, xv = yu, vx = uy ∴ uy = vx So, if (x, y) R (u, v) , then (u, v) R (x, y) So, R is symmetric. 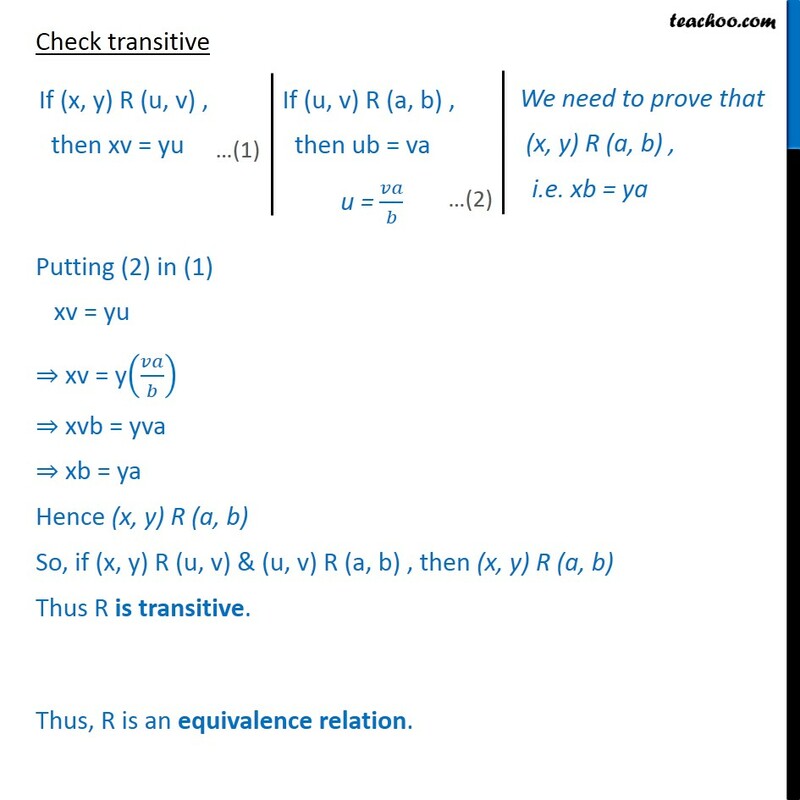 Check transitive Putting (2) in (1) xv = yu ⇒ xv = y 𝑣𝑎﷮𝑏﷯﷯ ⇒ xvb = yva ⇒ xb = ya Hence (x, y) R (a, b) So, if (x, y) R (u, v) & (u, v) R (a, b) , then (x, y) R (a, b) Thus R is transitive. Thus, R is an equivalence relation.